I've taken quite an interest lately of pianist Eldar Nebolsin who has recorded for Decca and Naxos, primarily more for Naxos. The Tchaikovsky Piano Concerto No. 2 is a favourite of yours truly, but few pianists have played the original, uncut version, understandably so because in the original version it takes 42:46 time-wise. 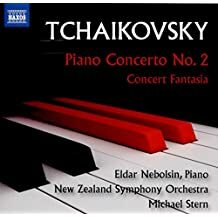 It was dedicated to Nikolai Rubinstein, who after Nikolai had severe criticism for Tchaikovsky's FIRST piano concerto, he made amends to Tchaikovsky by wanting to premiere the SECOND concerto. Unfortunately Rubinstein died and it never happened. The world premiere took place in NYC with the NYP in 1881. The Russian premiere took place in 1882 with Anton Rubinstein conducting and Sergey Taneyev at the piano. It was Alexander Siloti who suggested cuts and changes to the concerto, which Tchaikovsky did not approve, but after Tchaikovsky's death the Siloti changes became the "normal" way to play the concerto. I have many recordings of the SECOND piano concerto and truly love the work. In acquiring the one on Naxos by Eldar Nebolsin [b.1974], the pianism is remarkable in this not truncated original version. The New Zealand Symphony is as lush sounding as one would want. 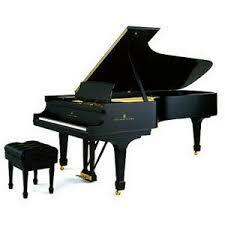 However, the recording balance between the piano and orchestra is not good. The orchestra is much more forward leaving the piano to sound muffled and unfocused. Frankly, I am surprised Nebolsin approved (if he had that power) to have the recording released. Although Gergiev is not my favorite conductor, his take on Tchaikovsky's Second Concerto in its full version is an exceptionally good performance with Matsuyev. I first heard the concerto when Ormandy recorded it and the third with Gary Graffman, only briefly available on CD (I snapped up a copy!). My pleasure, Brian ... you know how I love to talk about recordings! And Gary Graffman - another top choice that I also snapped up when released, but now it's in his "edition" issued by Sony Classics for those who missed the original CDs [94737 (2 CDs) and edition 46239 (24 CDs)]. I have been playing catch-up with pianist Eldar Nebolsin's recorded legacy thus far. The Liszt two piano concertos, Totentanz [Naxos], an early Decca recording of Chopin works, and best of all, the complete Preludes of Rachmaninoff recorded in England in 2007 [Naxos], Arensky chamber music [Naxos]. Very impressed so far ... only sorry I didn't hear him much earlier.